Fresh fish does not smell. Fresh fish and giant prawns shimmer on the cracked ice and look at you with glistening, clear eyes. Bamboo trays with silver fishes are laid out ready for the steamer. Dried fish and smoked fish are fanned out in beautiful platters. The fish lady shows off a bag full of huge fish eggs – one wonders at the size of the fish it came from. Such eggs are sold at a premium, 1,000 baht ($30) for 100g. Beside the dried chillis, garlic and curry pastes, a surprising dish of water beetles (Mang Da ) are on display. They look like overgrown cockroaches but we are assured that they are not. Rather, they are cooked in curries and prized for their aroma. What does smell is dried squid. Dried squid drape their long tentacles off the table and mounds of brilliant minature dried shrimp (kung-haeng) stand ready for phat-thai noodles. 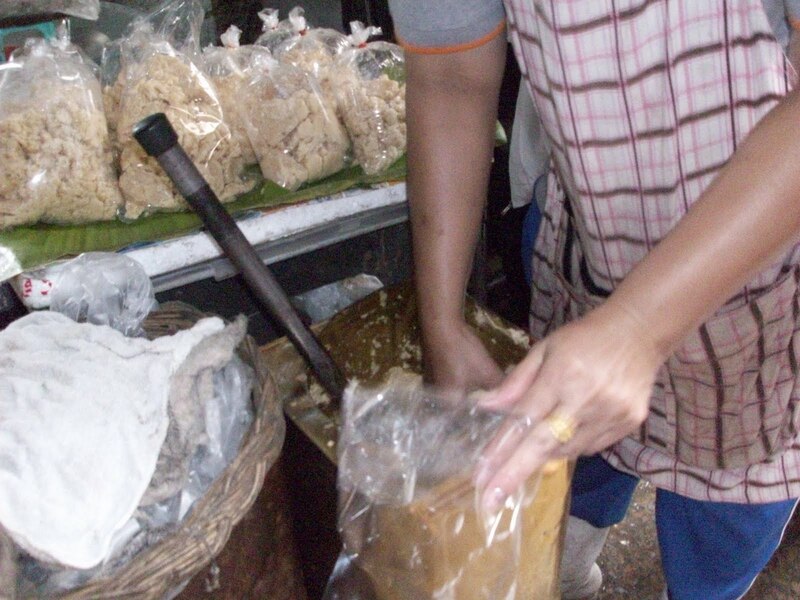 Palm sugar (Nam-taan-peep) is made from either the sap of coconut palm or sugar palm. 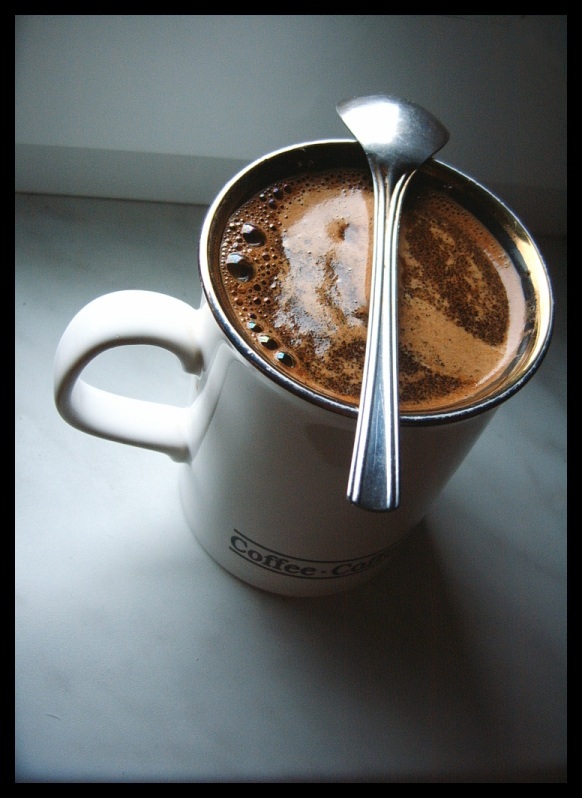 It tastes like caramel fudge and has the consistency of fine, wet sand. In the market the vendor sells them by the weight and here, she’s pre-filling cello bags from a tin can packed with a homemade supply of sugar. She offered me a taste and it was like eating candy. On another day I went by the same vendor and saw the tin can clearly labeled ‘Solvent for removing paint’ ! Tuk Tuks are a cheap form of transport around town. For 100 baht ($3) you can go anywhere in HuaHin. They are everywhere waiting for the next ride and if they see you (an obvious tourist) walking the driver will wave & yell out ‘Tuk tuk ??’. 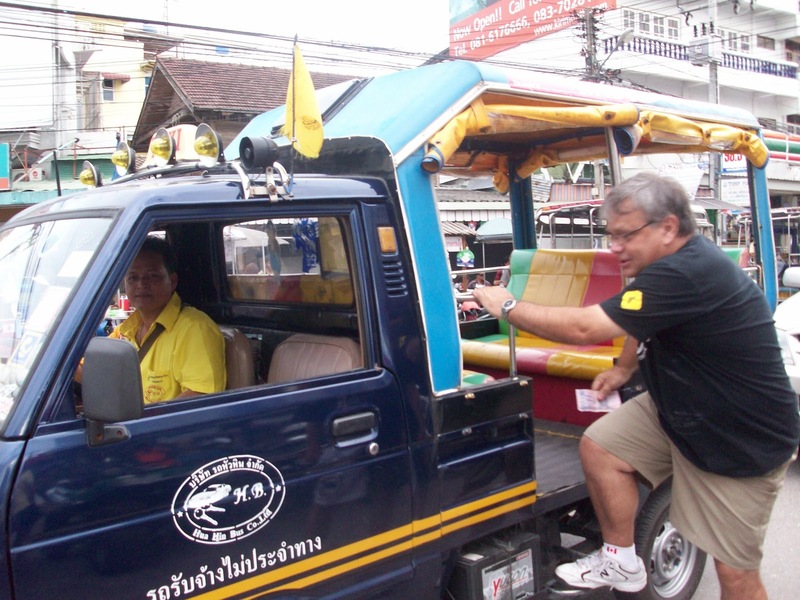 Driving in a tuk-tuk is similar to riding a bike, but faster and with more company. They are essentially three wheeled motor bikes hooked up with a chassis. Luc did not feel safe in the tuk-tuk and eventually found the slowest tuk-tuk driver in all of Thailand to put-put around. This tuk-tuk tookum to the Monkey temple, the silk market and the night market. 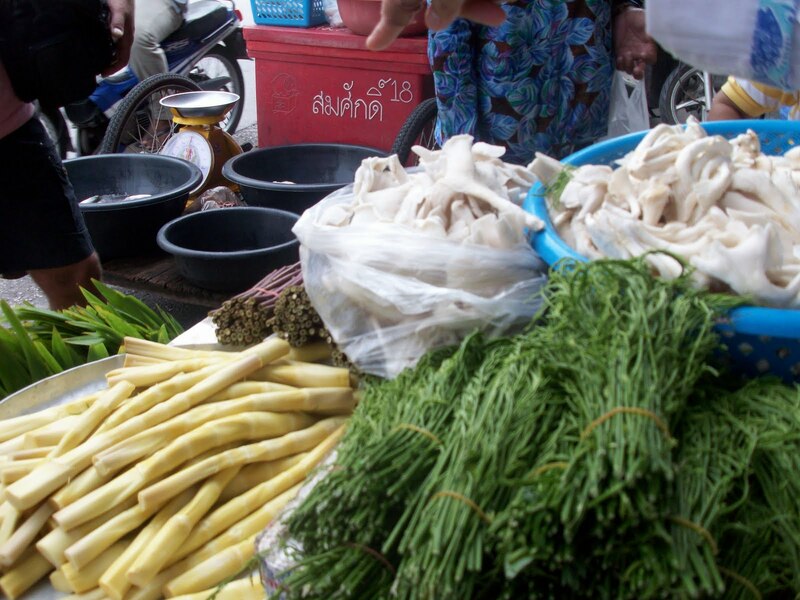 The Fresh Market in Thailand is a sensory overload of sights, tastes and smells. Produce and seafood are incredibly fresh. Vegetables that are strange and exotic . See the ‘winged beans’ (Thua-phuu) at top center, crushed cucumbers (taeng-kwaa) below and super fresh oyster (het-nang-faa) mushrooms to the left. Fresh bamboo shoots and strange, licorice type herbs which freshen the breath. Fresh green peppercorns (Phrik-thai-awn) and tiny pea eggplants (Ma-kheua-phuang) for Thai curry dishes. The green peppercorns have short bursts of flavor and are added to the curry dishes , more like a vegetable than an spice. Talking about curries … in the market they sell hills of brilliant curry pastes made of pounded chillies, shallots, garlic, galangal, lemon grass, kaffir lime, coriander root, peppercorns, cumin and dried shrimp paste (Ka-pi). Every curry deserve fresh chillis.